The aquarium is lots of fun! 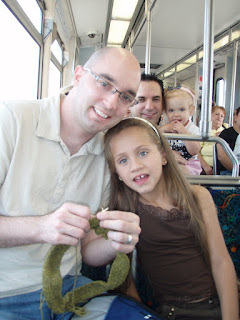 I went with Gregg, my sister and brother in law, their 2 children and my friend Debbie - we met up and got on the subway at Universal Studios and rode it all the way to Long Beach! It was amazing to get that far so quickly. Ready for some out of order photos? here we go! Sea urchins, starfish, etc. (you can touch them - with 2 fingers because touching with one finger is poking!) - starfish are not fluffy. The water was C-O-O-L-D toooooo! 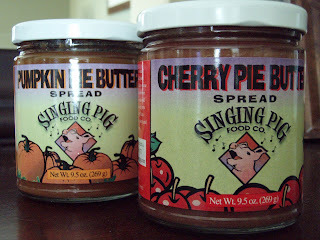 this stuff is pure heaven - I didn't take their card but we had the cherry pie butter spread on a toasted english muffin this morning - and Gregg and I both liked it :) - click HERE to see their website... we should have bought more of this! 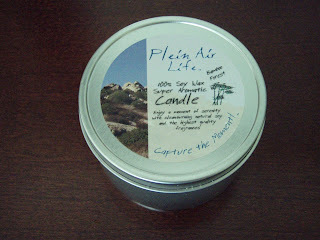 these candles are yummy - my friend Debbie swears by their lip balm... http://www.pleinairlife.com/ makes yummy soy candles - we saw these at the strawberry festival earlier this year - it's always nice to run into them at a show! 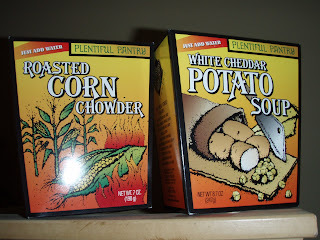 these things are yummy too (it's the land of food that's bad for you!) 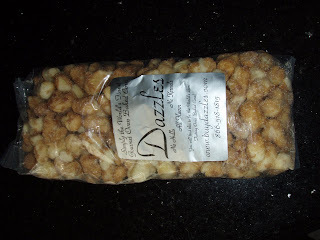 - from Dazzles comes gourmet oven baked corn - they say this is good for folks who can't eat seeds.... it's fluffy and good and tastes in texture kind of like the Trader Joe's Pirates Booty - but the kind we got (churro) is a little crunchy on the outside - because of the caramel! 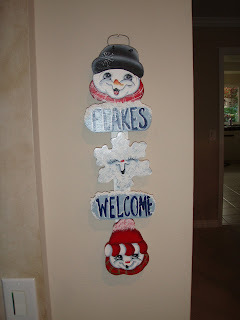 but I still lugged this one around... hand cut wood, airbrushed and decorated - this was soooo cute... I had to have one - $20 - can you believe it! too cheap! 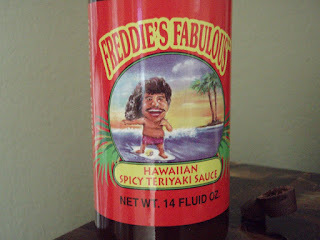 We also bought this teriyaki sauce... and some other goodies.. it was a great day - full of crafts, food and live fishies! check out the Harvest Festival to see if it's coming to your area. Also be sure to visit the Aquarium if you're in the Long Beach area.. I love that bank! When they built the new post office in my hometown, they let everyone keep the doors to their old boxes if they wanted them. 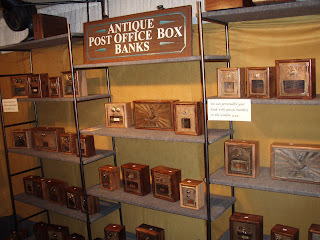 My parents put theirs on a wire and hung it on the wall, but a bank is a really clever idea. If the awesome apple butter I bought lately is any indication of how good fruits butters are, those cherry and pumpkin butters must be delicious! Great bank! I have a ceramic pile of pigs bank, but I always feel bad putting money in, becuse the pig on the bottom looks like it's getting squished and I don't want to add to its misery. A bank like yours might inspire me to put more in! 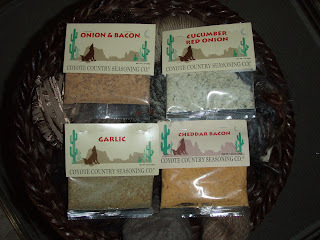 Neat foodstuff- I love buying food when I'm away because it's stuff that you would never buy on your regular trip for groceries, although I'm always pretty sure I'd get flagged at customs for it. 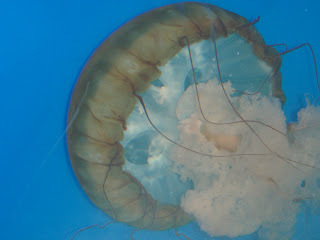 Great aquarium pictures- I'm dragging DH to the Shedd Aquarium in Chicago this weekend. 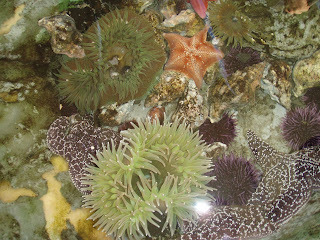 I really enjoyed the Laguna Beach Aquarium, I like fish a lot, the Monterey Aquzrium is great too. I have tagged you, it is voluntary iin my pooint of view. 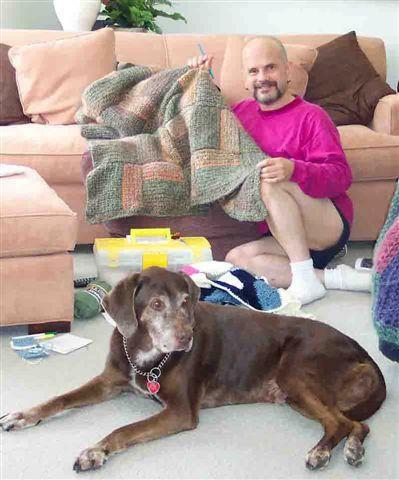 I visit your blog often and like your work. What amazing aquarium pictures!! 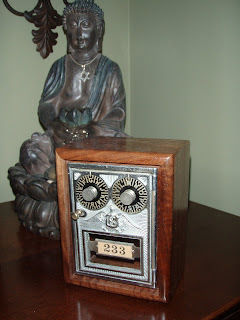 Those post office door banks are cool - doesn't it make your day to make such a unique find? !